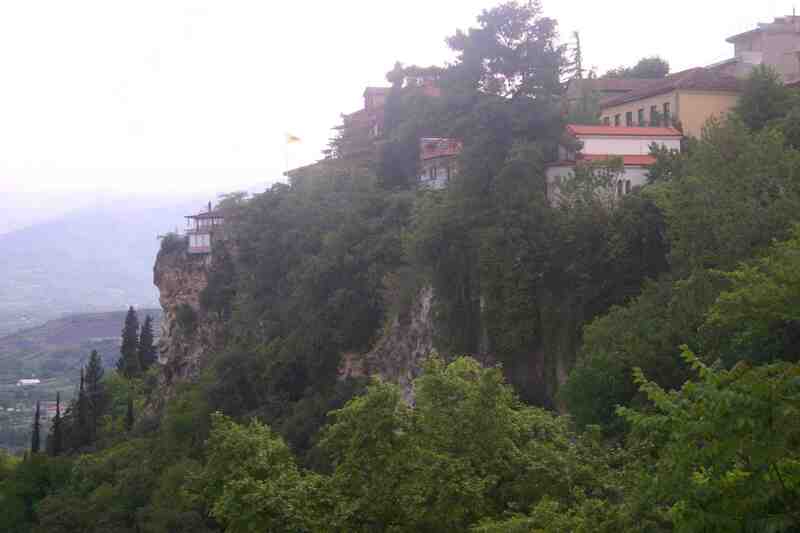 Whereas many Greek towns might be dusty and dry, Edhessa (Έδεσσα) is lush and wet. Much of it is free of cars as well. The reason is a river cascading down from the mountains to the north. It flows through the town, allowing park spaces along the banks and a complex array of paths and bridges crisscrossing the waters. Then, at the edge of the old town (Varossi), the river descends rapidly, culminating in two large waterfalls, which I came to see as fountains of knowledge. Following the Networked Learning Conference earlier last week in Halkidiki, Greece, we had headed west through Thessaloniki to the region around Edessa. 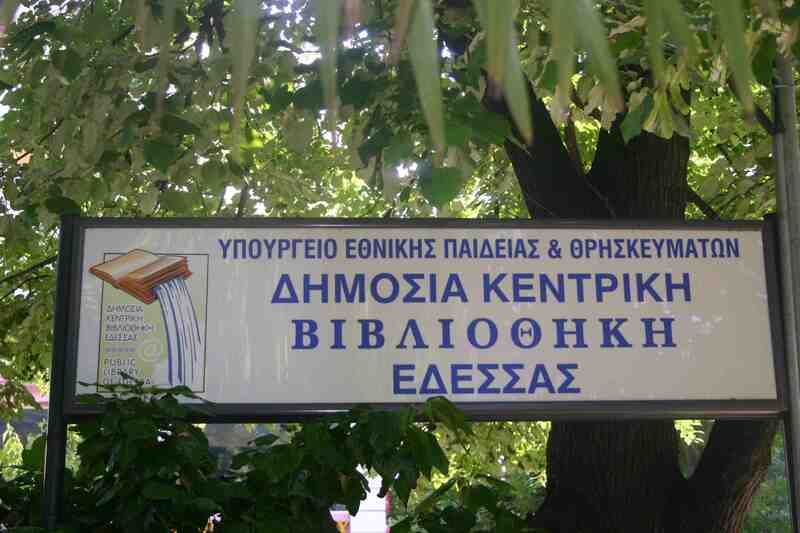 This is where Alexander the Great was born and where his father, Phillip II and Aristotle went to to school together. It includes what are now the major archaeological sites of Vergina, the site of the ancient Macedonian royal city of Aegae, and Pella, the later capital. Alexander, of course, was the one whose conquests spread Hellenistic culture throughout Asia Minor, Syria, Egypt, and eventually the entire Persian Empire, going as far as India. Supposedly, he slept with a copy of the Iliad under his pillow throughout the campaign. His exploits might not represent the origin of the knowledge, but they certainly helped it flow and created an early version of a global culture. The oracles of Delphi and other sites might allow Greeks to claim the fountain of knowledge. Towns with names like Grammatico make one feel that love of knowledge is intrinsic to daily life. Add in the beginnings of Western science and philosophy and the whole nation would seem to be a bubbling fountain of knowledge, if it just weren’t so sunny and dry! I thought we might be approaching the fountain when we came to Meixa, the location of Aristotle’s school (from the Greek schole), where Alexander had studied. 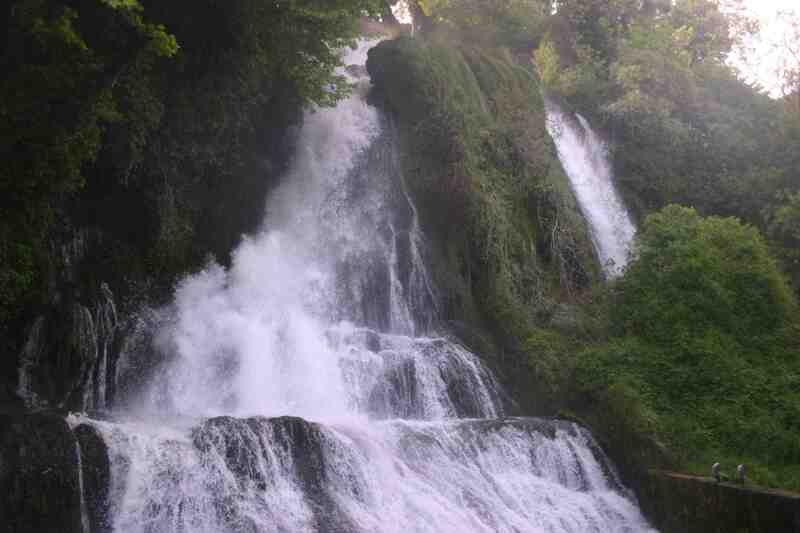 But it was just north of there in Edessa, that the fountain revealed itself. The pleasure of experiencing the water town was only enhanced for me when we visited the wonderful town library. Staff there helped us access the internet and told us more about Edessa. The library has a unique logo combining two of my favorite things, books and water. It suggests that the ideas of Plato, Sophocles, Hippocrates, Thucydidies, Heraclitus, and all the rest flow from the library, providing pleasure for the mind as the cataracts do for both body and mind. I like the way the logo incorporates the @ sign, too. Fortunately, knowledge is never owned by any one time, place, or people, but Edessa and its library make as good a claim as any to being its source. This entry was posted in Uncategorized and tagged Fulbright, Greece, history, library, nature, philosophy. Bookmark the permalink.